Palm Coast, Fla., November 20, 2018 – During Monday evening’s Flagler County Board of County Commissioners meeting, Florida Hospital Flagler agreed to purchase six acres in northern Flagler County to build a hospital-based emergency department and a medical office building. Located near I-95 Exit 293 at Matanzas Woods Parkway, near Matanzas High School, Florida Hospital Flagler plans to build two new buildings. 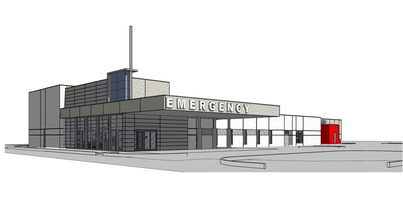 The 12-bed freestanding emergency department will care for both adults and children, offering the same services found in emergency rooms attached to a hospital, including imaging and laboratory services. Florida Hospital Flagler will also build a two-story medical office building for a variety of physician practices, including primary care and specialists. In addition, the medical office building will offer another location for patients to access the Palm Coast hospital’s outpatient rehabilitation services. The I-95 Exit 293 at Matanzas Woods Parkway opened in March 2016 and is Flagler County’s fourth access point to the interstate. It is the first new interchange in Flagler County since the exit at Palm Coast Parkway was built in the late-1970s. This project is expected to be a $25 million investment in the community’s health care services. Construction is anticipated to take 10 months and will begin after Florida Hospital Flagler closes on the property and all necessary permits are obtained. The architect is Orlando-based HuntonBrady. Florida Hospital’s parent company, Adventist Health System, has announced that it will soon change its name to AdventHealth. Based in Altamonte Springs, Adventist Health System is one of the nation’s largest faith-based health care systems with nearly 50 hospital campuses in nine states and more than 80,000 employees. As of Jan. 2, 2019, Florida Hospital Flagler will adopt the Advent Health name and logo. This name change is not the result of a merger, acquisition or change in ownership, but part of our efforts to help consumers easily identify AdventHealth’s care locations and services. We remain steadfastly committed to delivering whole-person care for the mind, body and spirit and our mission to extend the healing ministry of Christ remains the same. Located in Palm Coast, Florida Hospital Flagler has 99-beds and is one of the six Florida Hospitals in Flagler, Lake and Volusia counties that composes the Florida Hospital Central Florida Division – North Region. 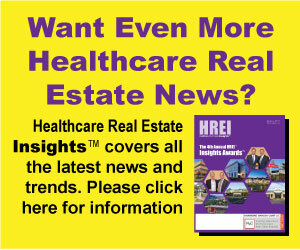 For more information about Florida Hospital Flagler, visit www.FloridaHospitalFlagler.com.